I enjoy mathematics, tessellations, computer programming, wood working, and video production. It has been fun to put it all together to create entertaining and instructive software and videos. I have been writing software to explore geometric transformations and create Escher-like tessellations for twenty years. My programs include The Geometric Golfer, TesselMania, Kaleidomania, and Tessellation Exploration. My newest program for designing tessellations is TesselManiac. In TesselManiac I have added code to control a laser cutter. This allows me to create the tiles out of real material like acrylic or wood. 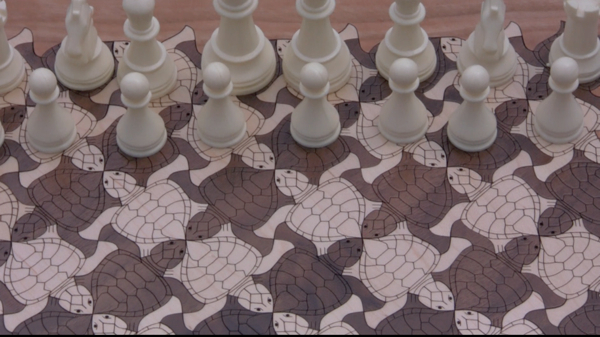 In this video I demonstrate how all of this comes together to create a tessellated chessboard.